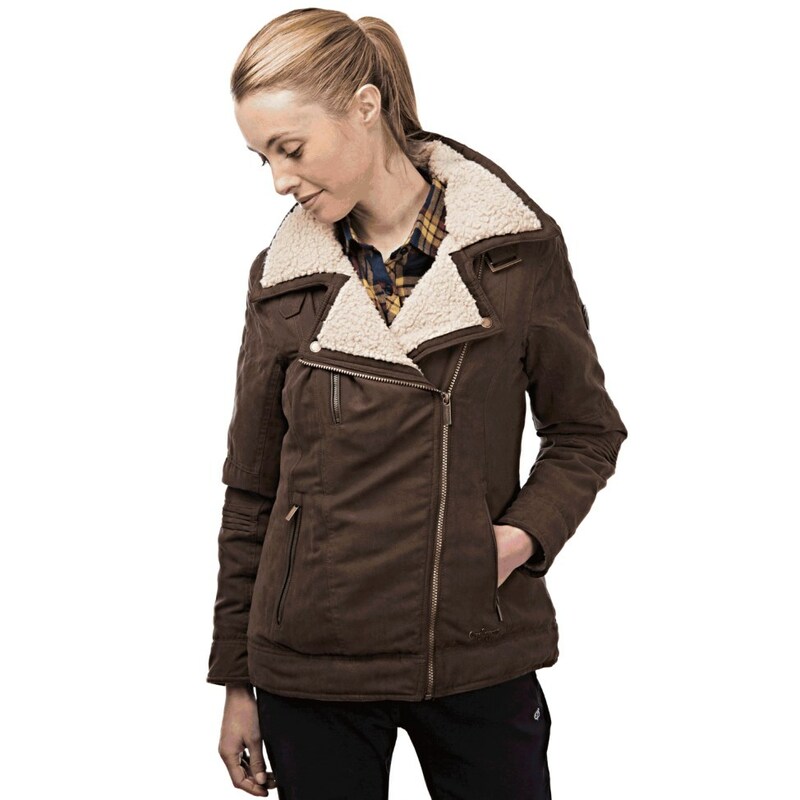 The Craghoppers Women's Gatenby Jacket perfectly combines fashion and functionality, making it a great choice this season. The outer fabric is a soft faux-suede, giving the jacket a chic look and feel. 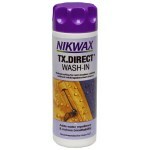 Better still, it's finished with a DWR water repellent treatment which, combined with the Aquadry membrane liner, makes this stylish piece of kit waterproof too! The inside of the jacket is lined with a snuggly polyester borg fleece - great for wrapping up and feeling cosy on those wintery walks. The faux-sheepskin fleece also looks great against the dark suedette outer, adding to the aesthetic appeal of the Gatenby. A full length asymmetric zip makes the Craghopper Gatenby stand out from the crowd and, coupled with the pull-up collar with buckle, adds real style to a functional jacket. The three outer pockets (2 zipped lower, 1 zipped right breast) add nice detail and give plenty of room to keep hands warm or safely store a few essentials. Wear the warm jacket fully zipped up, keeping the chill off your neck or fold the collar down to show off the fleece lining. Two popper-buttons mean you can secure the collar down flat and in place if you prefer the latter style. 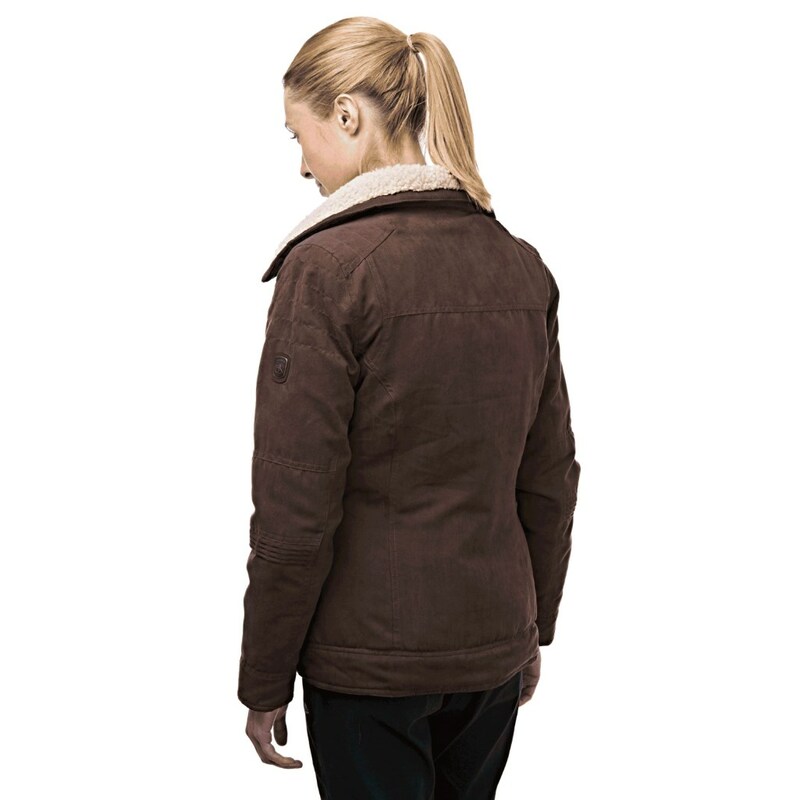 Look great while staying warm and dry this season in your Craghoppers Women's Gatenby Jacket. 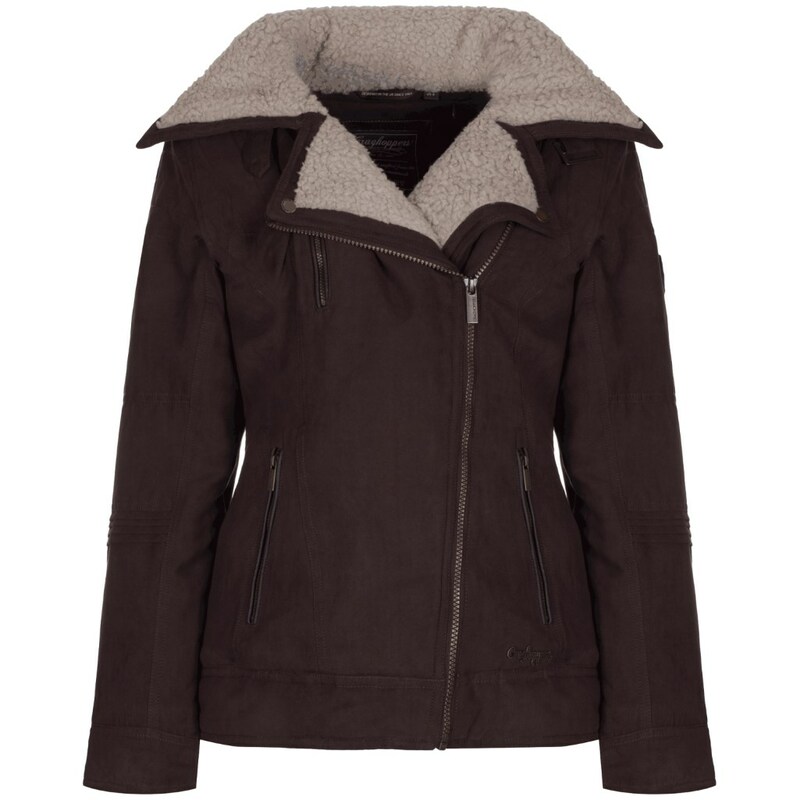 Waterproof, windproof, breathable and stylish to boot…this jacket's got it all! Grab it while you can.